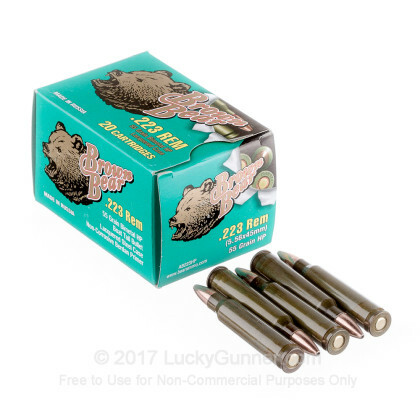 Is Brown Bear 223 Ammo Corrosive? 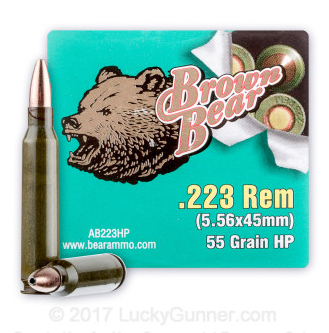 Another question from several readers…Is Brown Bear 223 ammo corrosive? 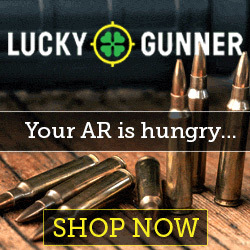 But let’s discuss Brown Bear 223 ammo so you get an idea what you’re getting. Brown Bear ammo is manufactured by Barnaul Machine Tool Plant in Russia. Barnaul has manufactured ammunition since 1869 and supplied ammunition to Russia during WW I and WW II. Barnaul is the largest ammunition plant in Russia and produces rifle, handgun and shotgun ammunition for sporting, combat and hunting which are exported all over the world. Brown Bear ammunition is high quality ammunition featuring steel cases and bimetal bullets. The steel cases are soft steel and perfectly safe for modern firearms. The steel cases are lacquer coated to facilitate smooth feeding and extraction and corrosion resistance. The primers are Berdan as most military ammunition is. Berdan primers offer reliable ignition and long shelf life. The Berdan primers and the powder used in Brown Bear ammunition are non-corrosive. Brown Bear ammunition meets most military specifications like SAAMI.